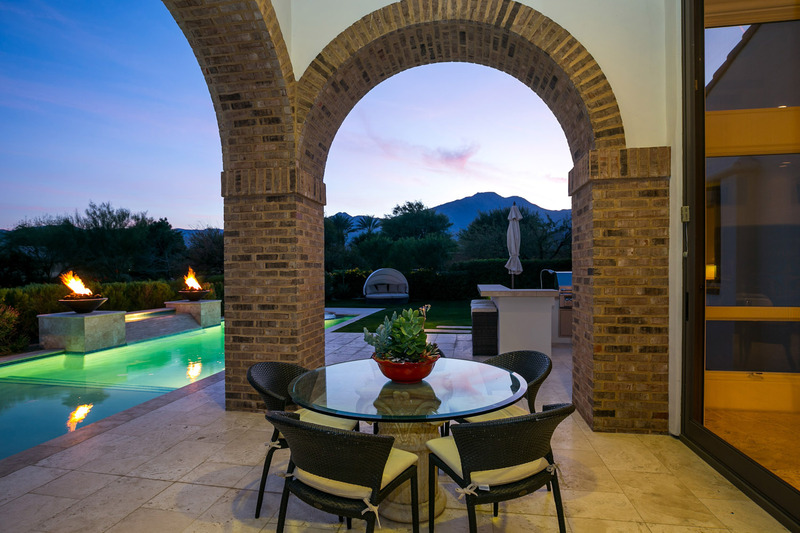 Andalusia is one of the premier destinations in the entire valley with a majestic setting at the base of the Coral Mountains. 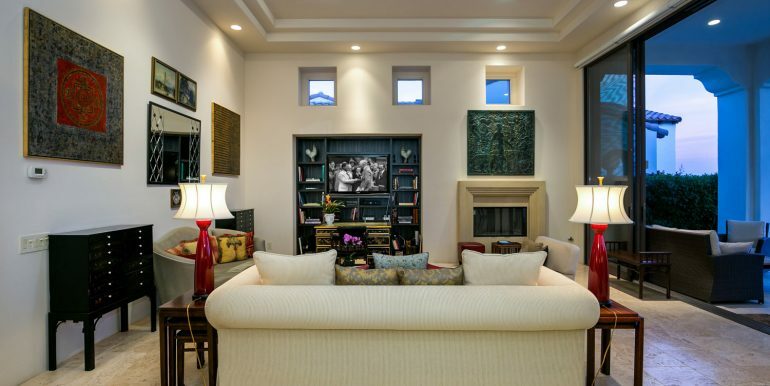 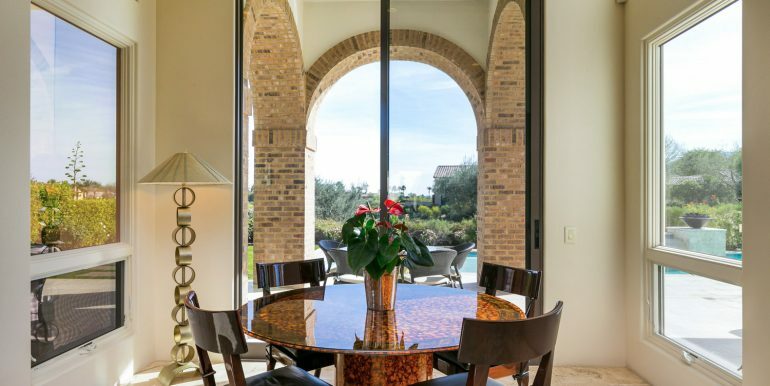 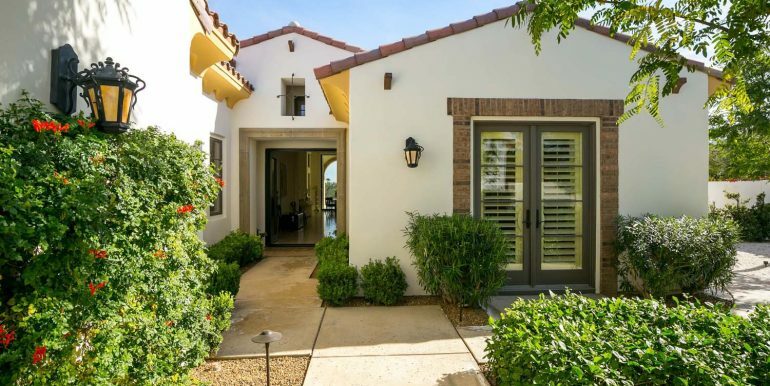 This south facing open floor plan sits above the 3rd hole of the Rees Jones designed course on a highly desirable corner lot with abundant privacy. 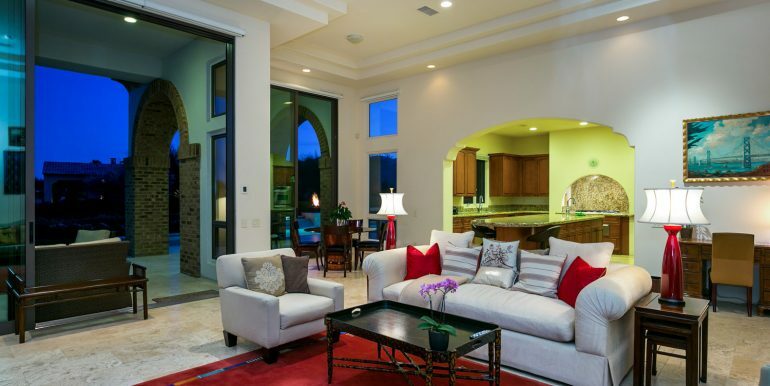 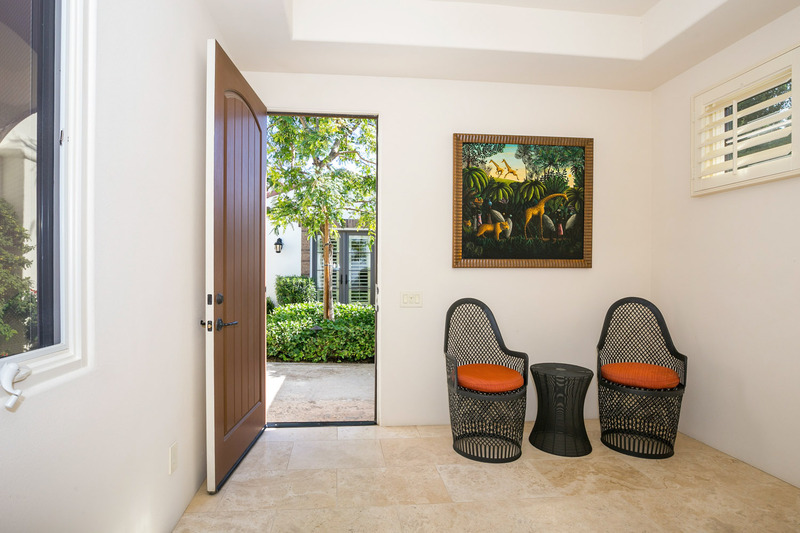 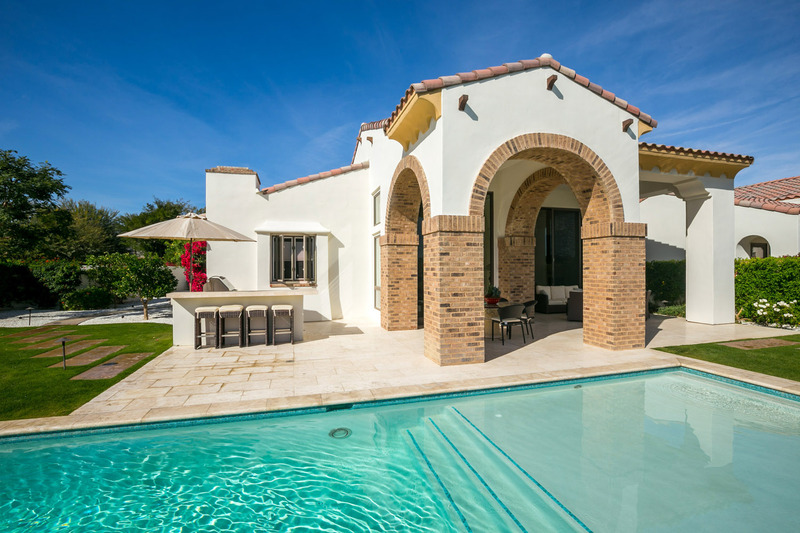 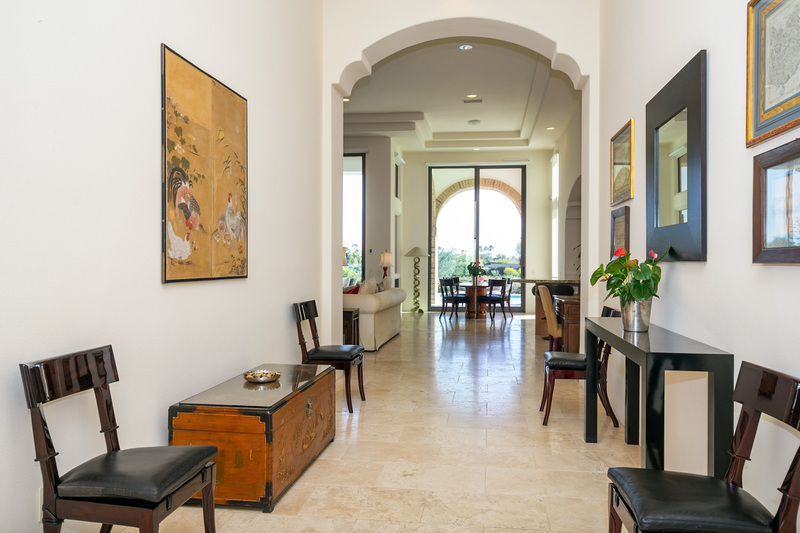 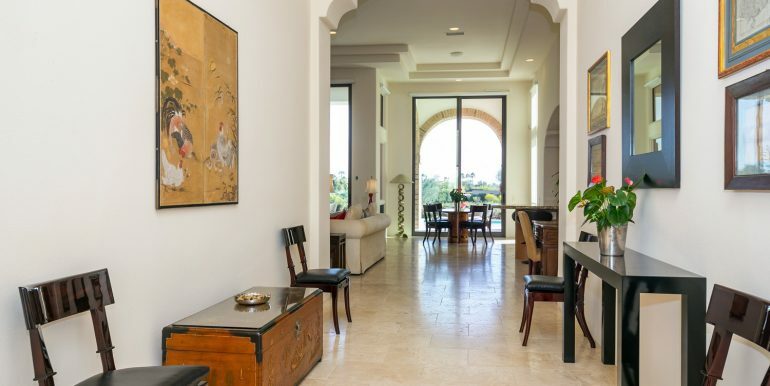 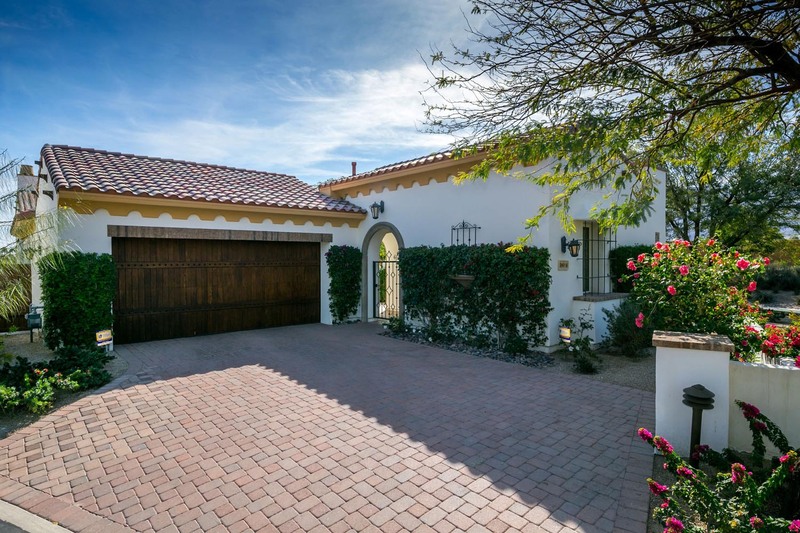 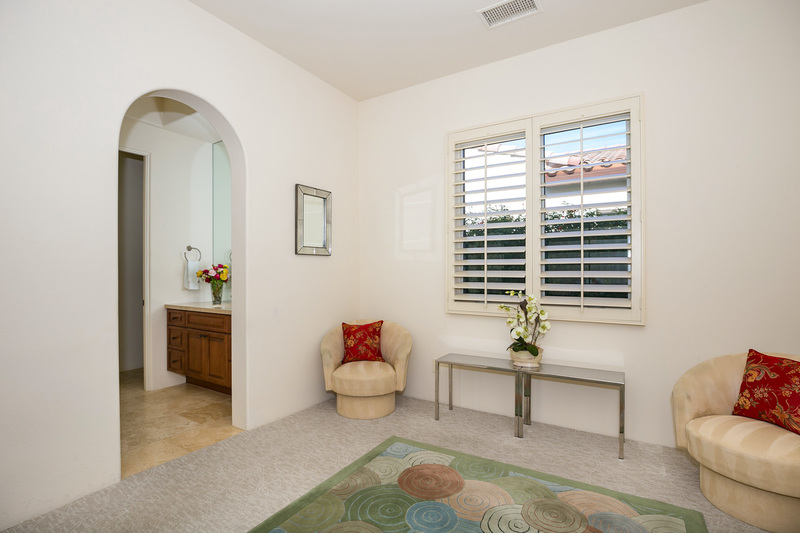 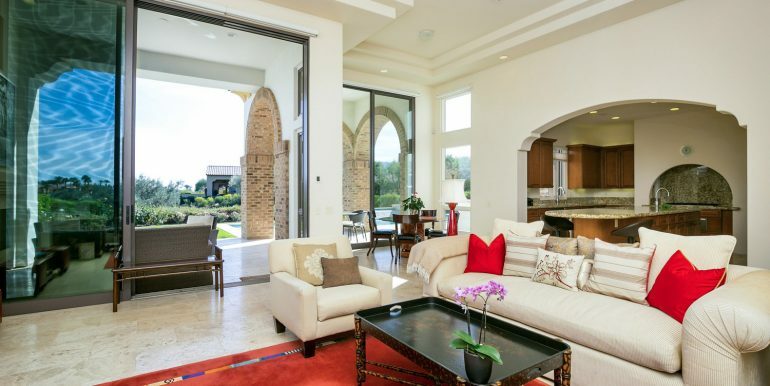 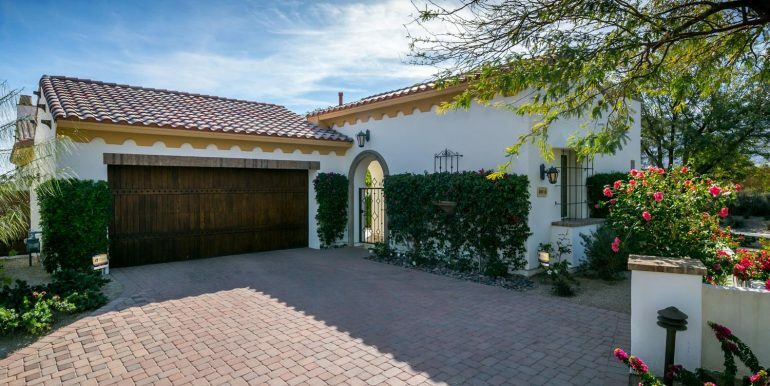 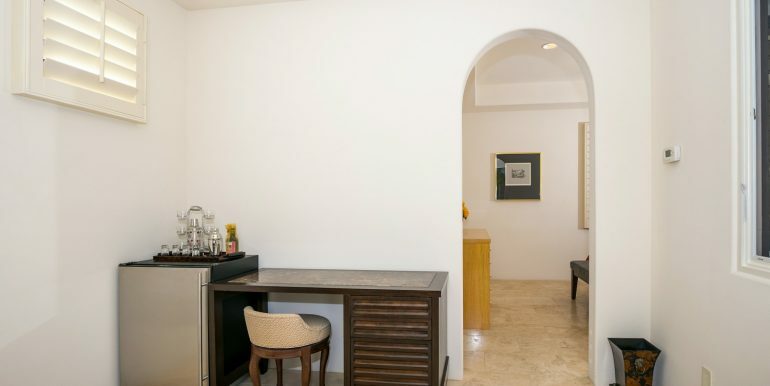 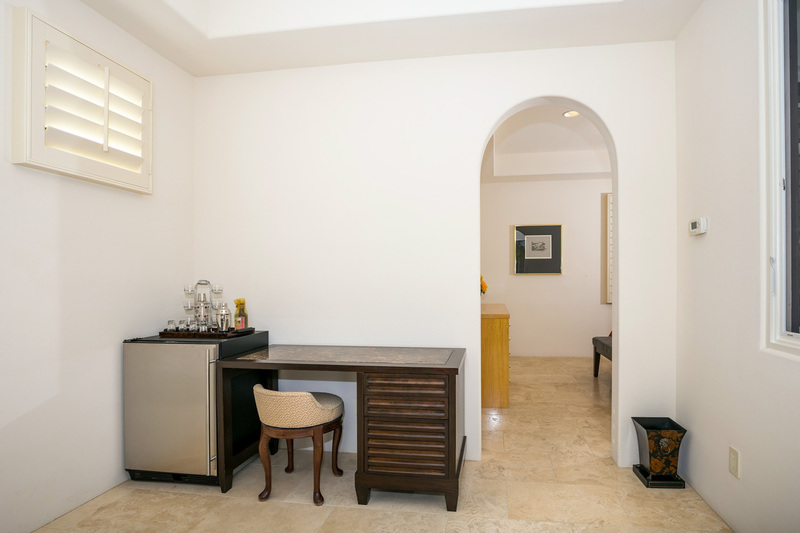 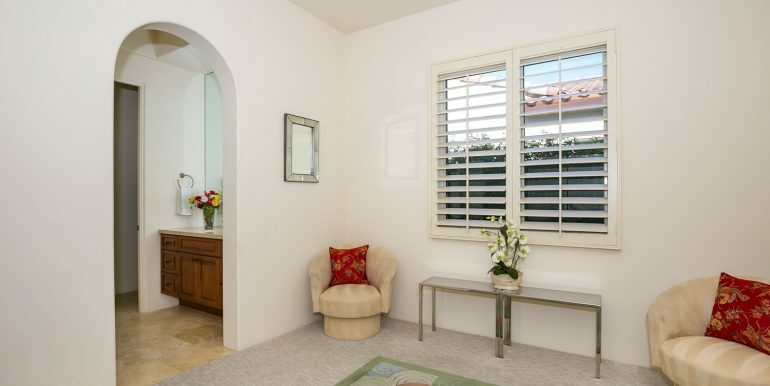 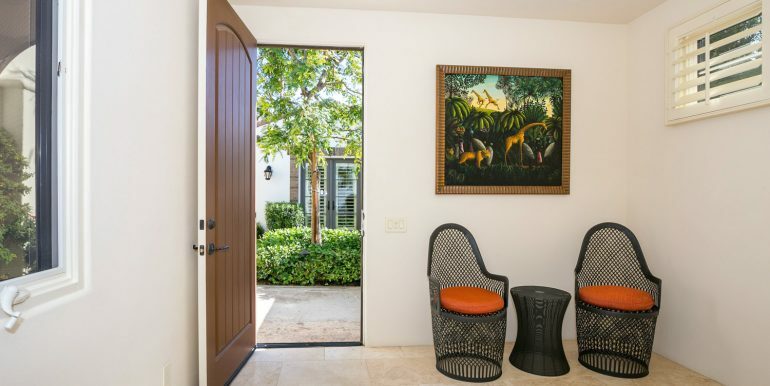 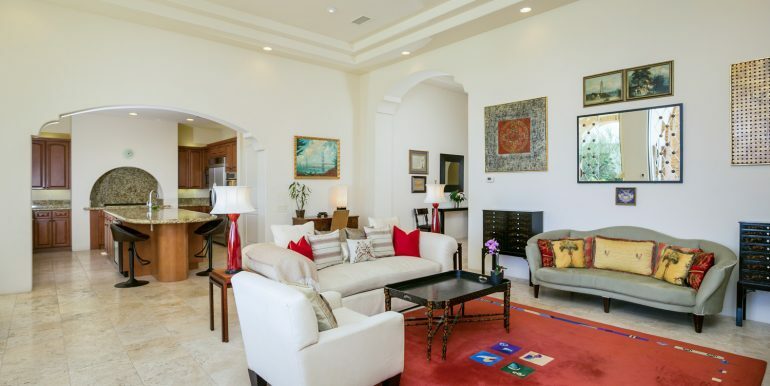 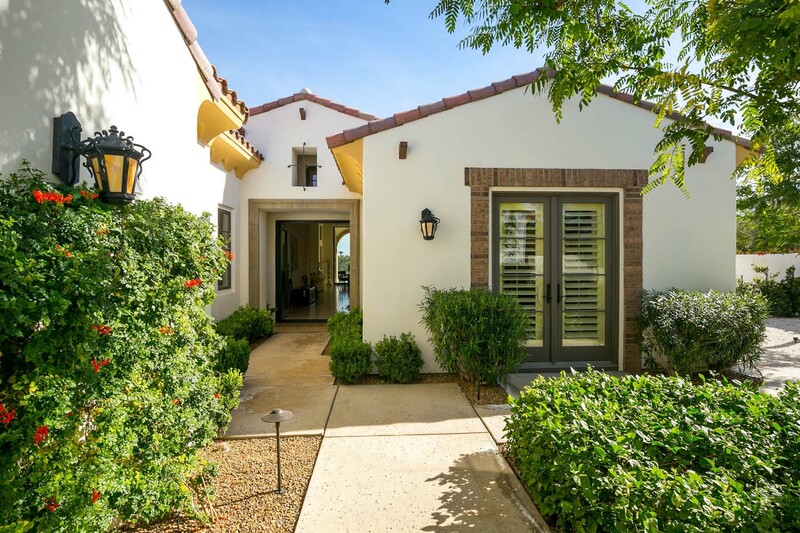 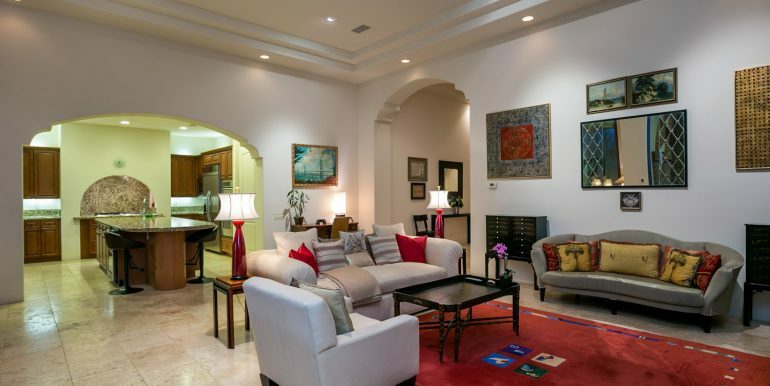 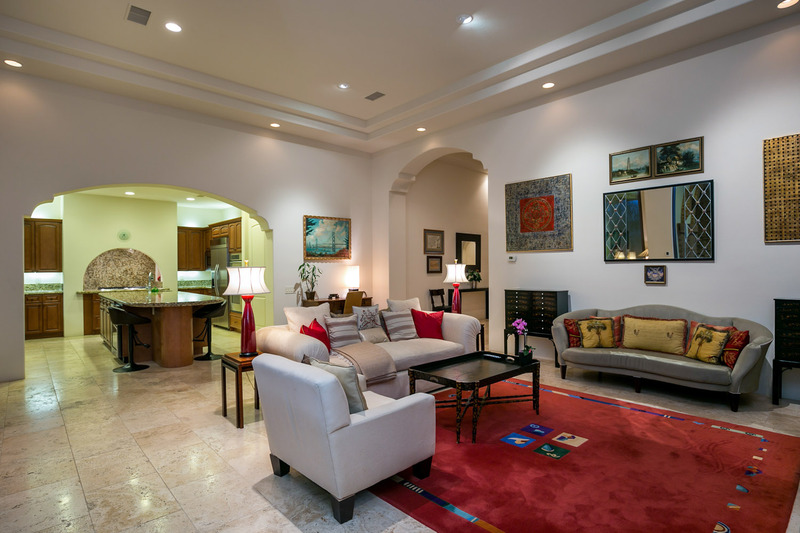 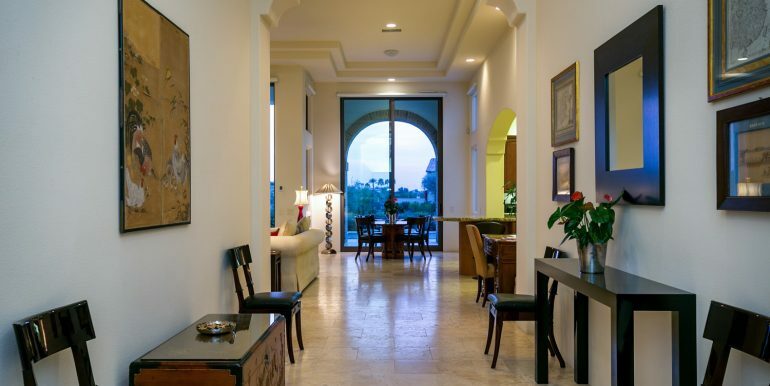 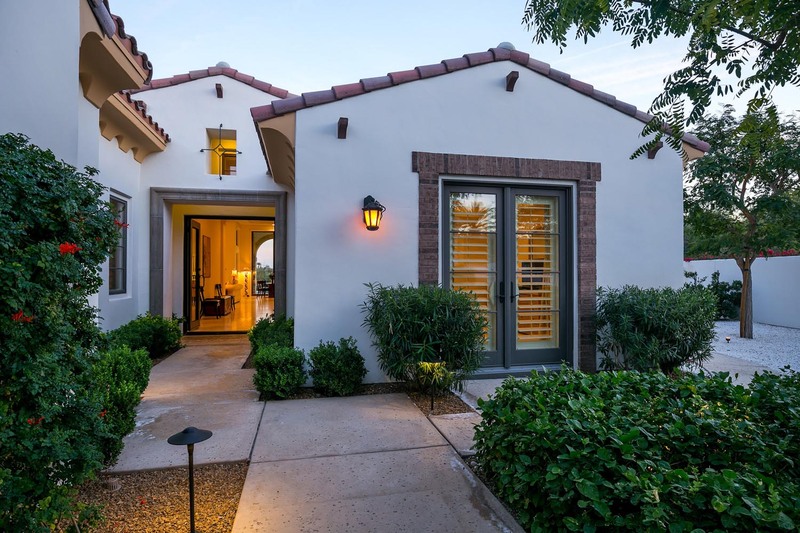 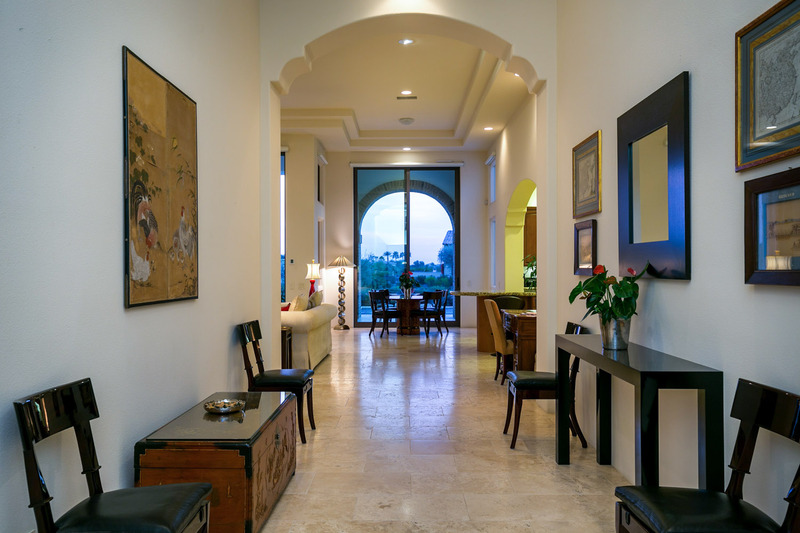 Enter the private courtyard to the detached two room casita. 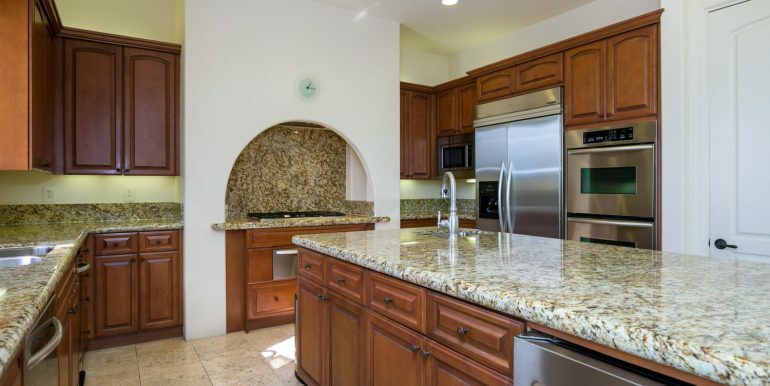 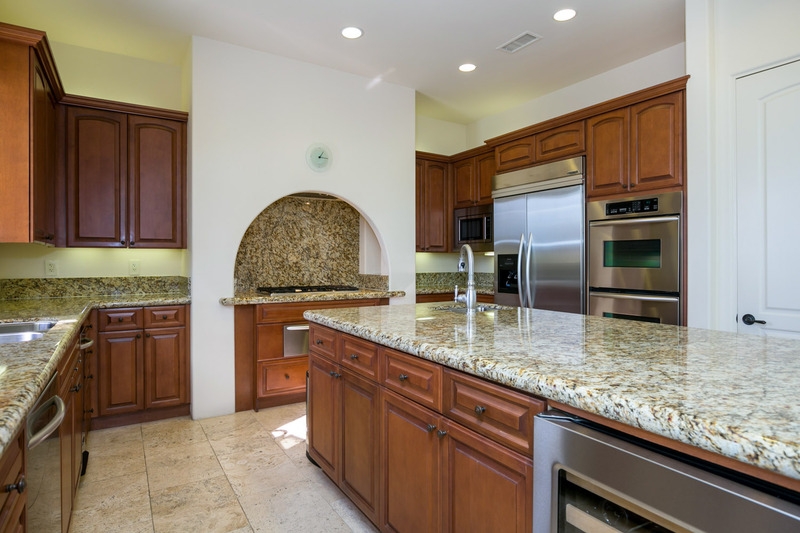 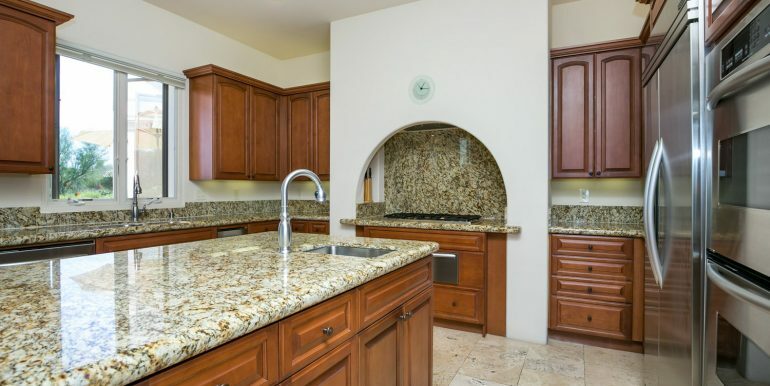 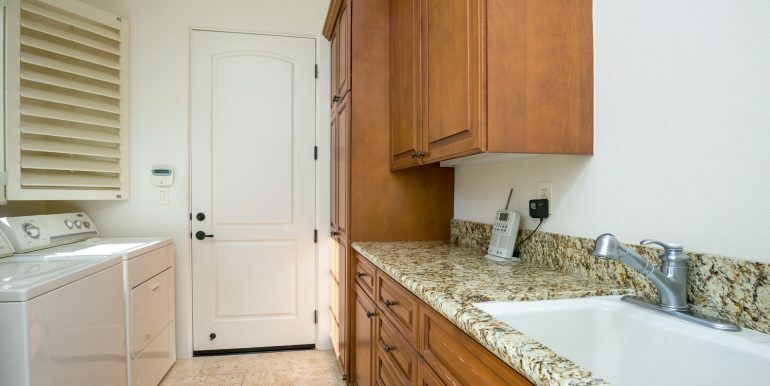 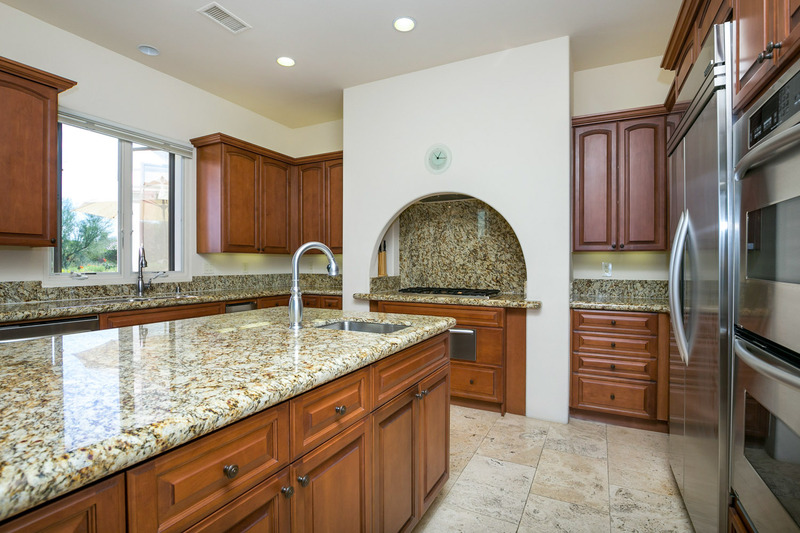 Large gourmet island kitchen with two sinks, wine cooler, stainless appliances, slab granite counters and walk-in pantry is adjoined to the spacious great room. 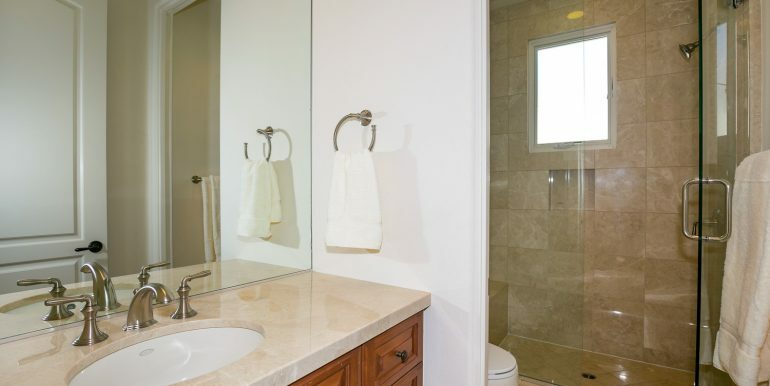 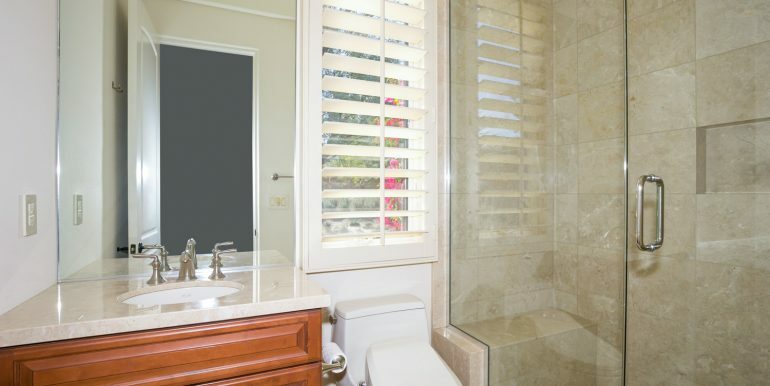 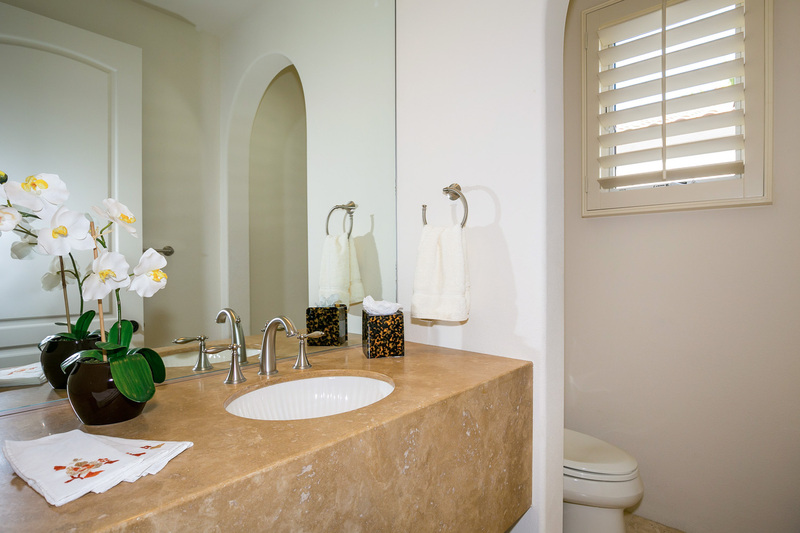 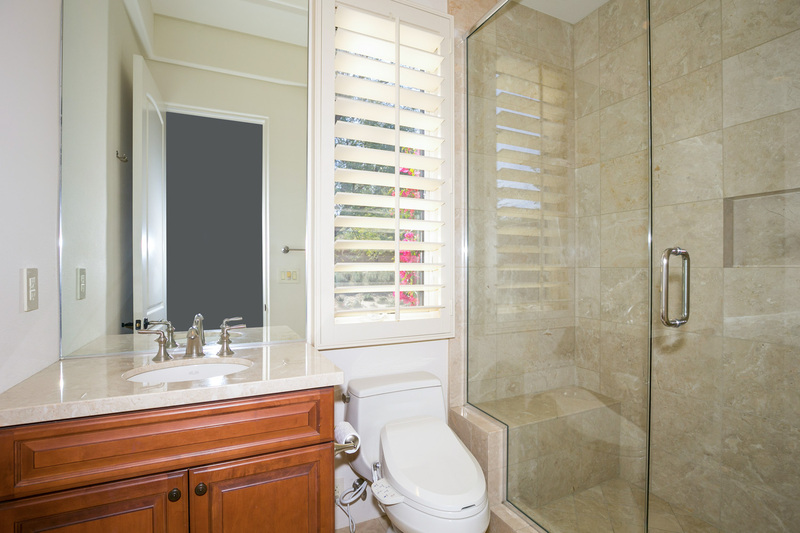 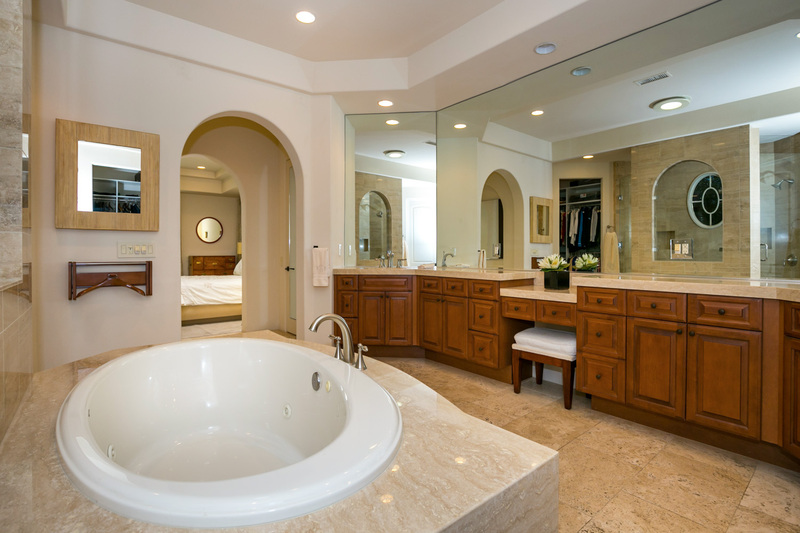 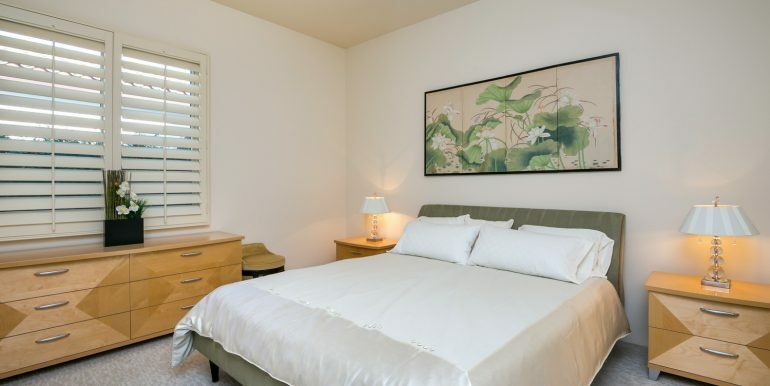 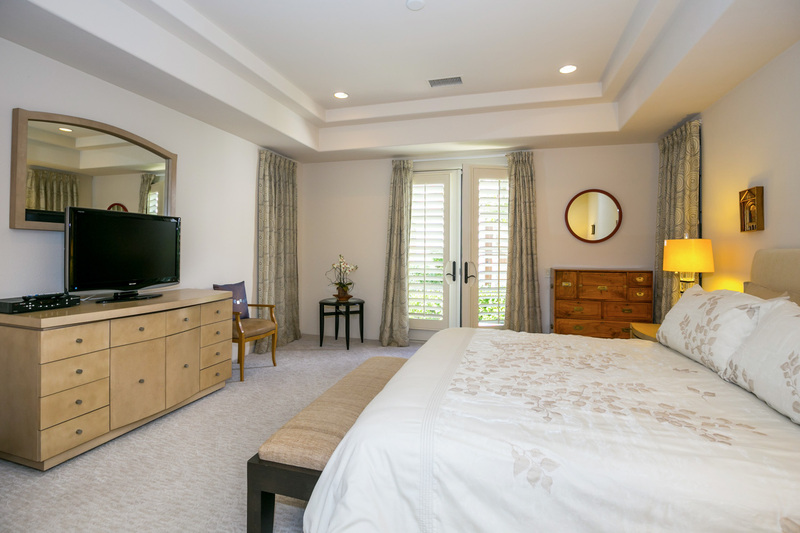 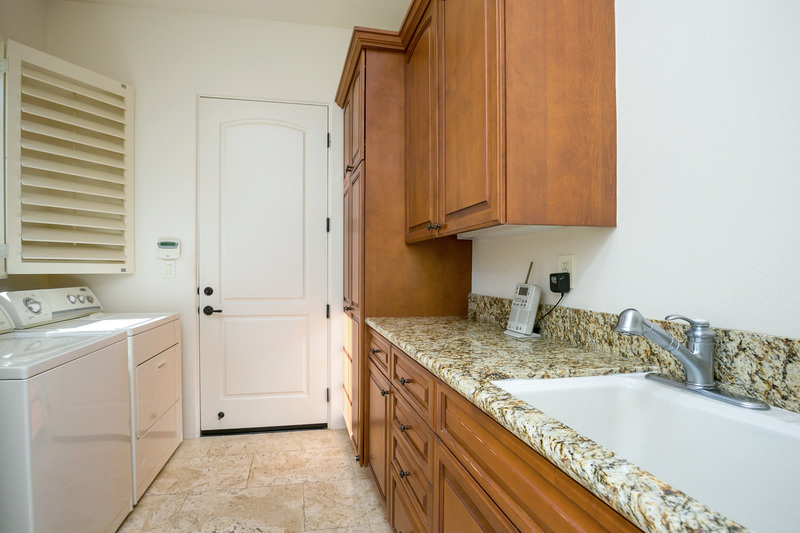 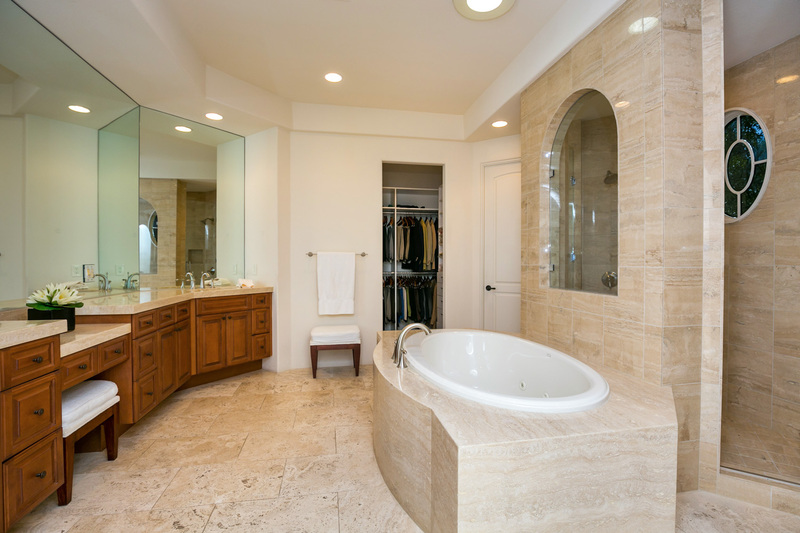 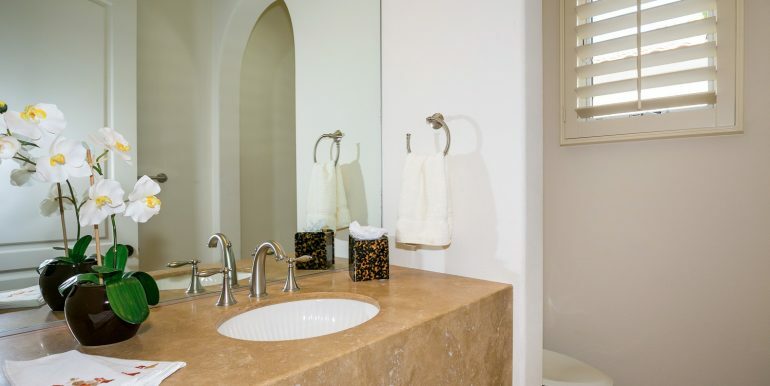 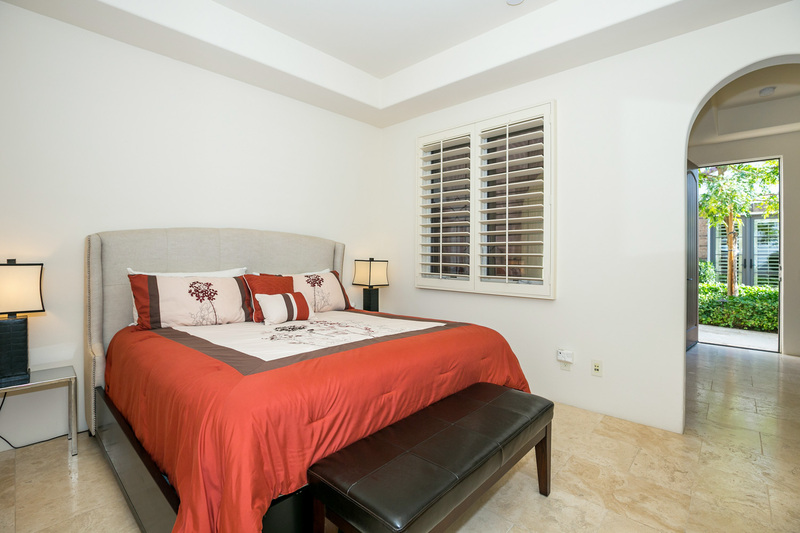 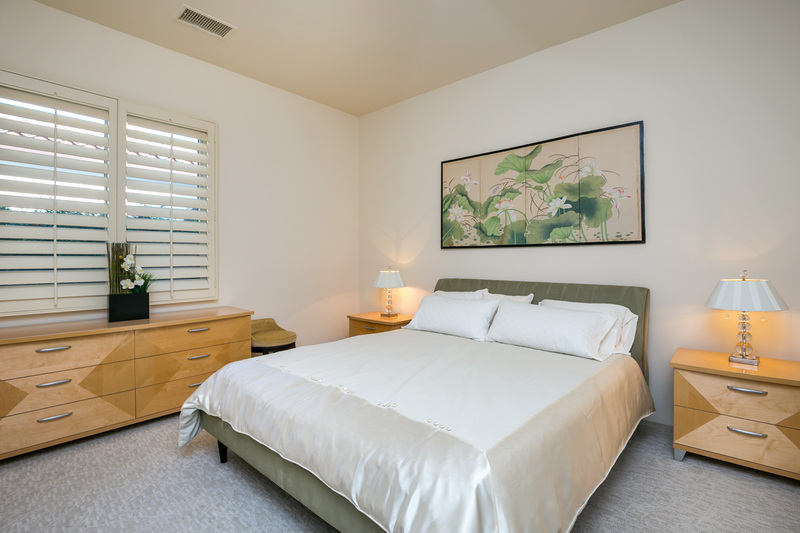 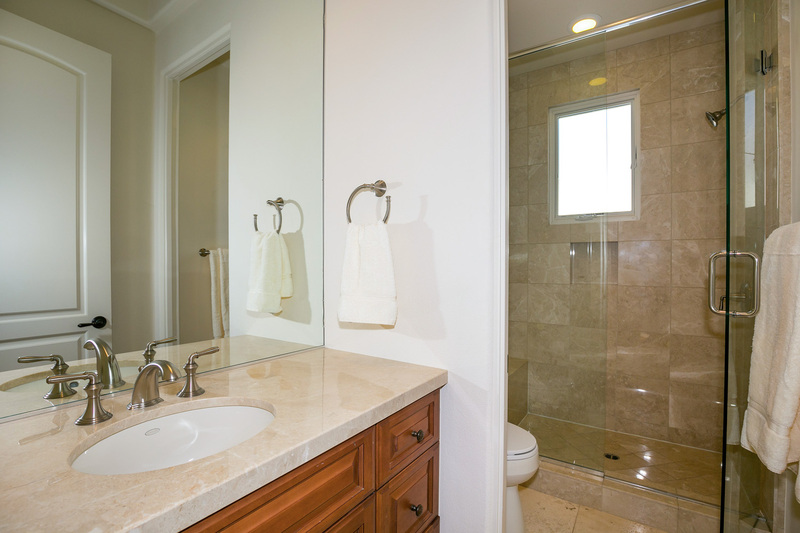 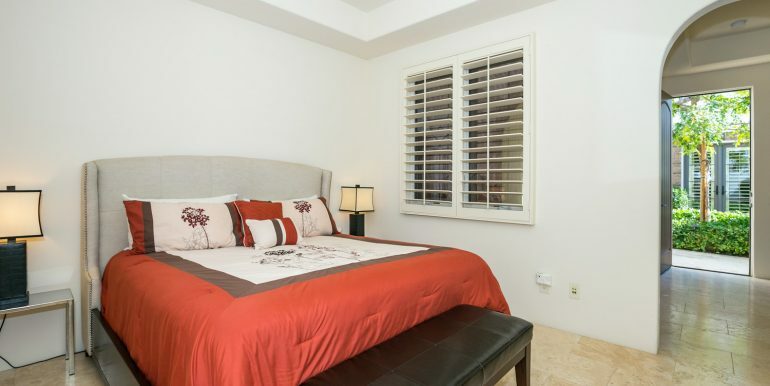 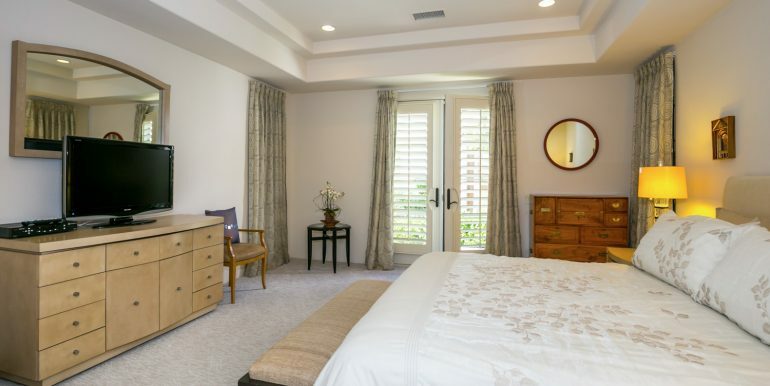 Luxurious master suite is graced with dual sink vanities, spa tub and walk-in dual headed shower. 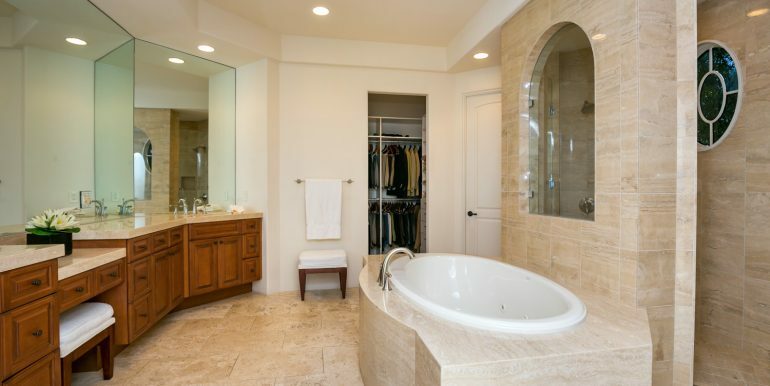 Secondary bedrooms include en-suite baths. 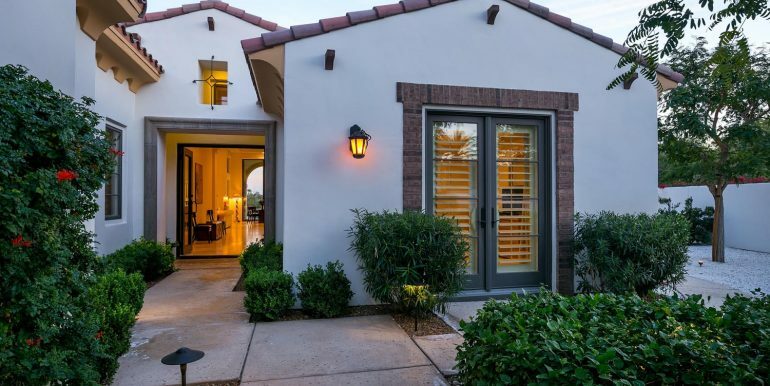 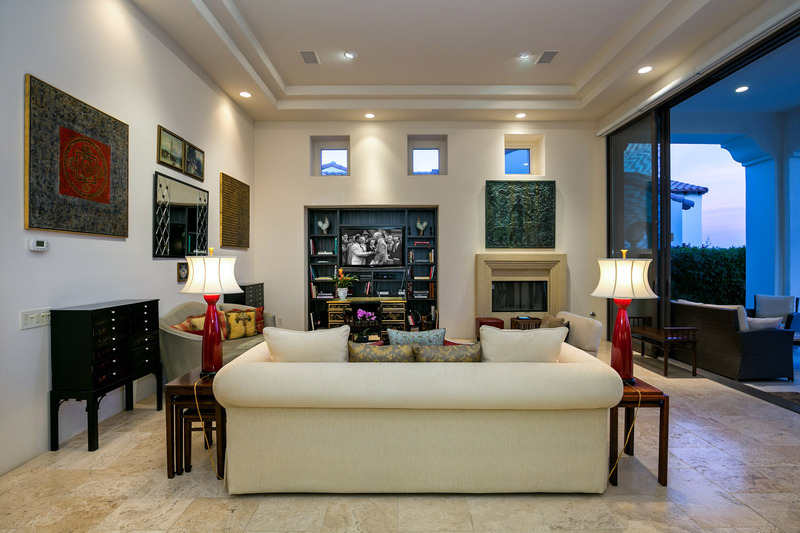 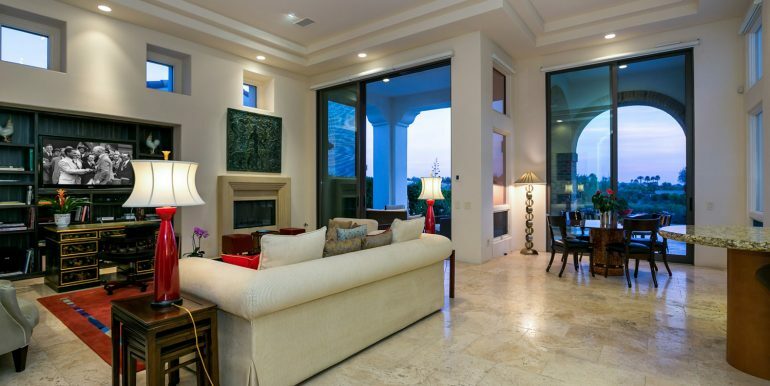 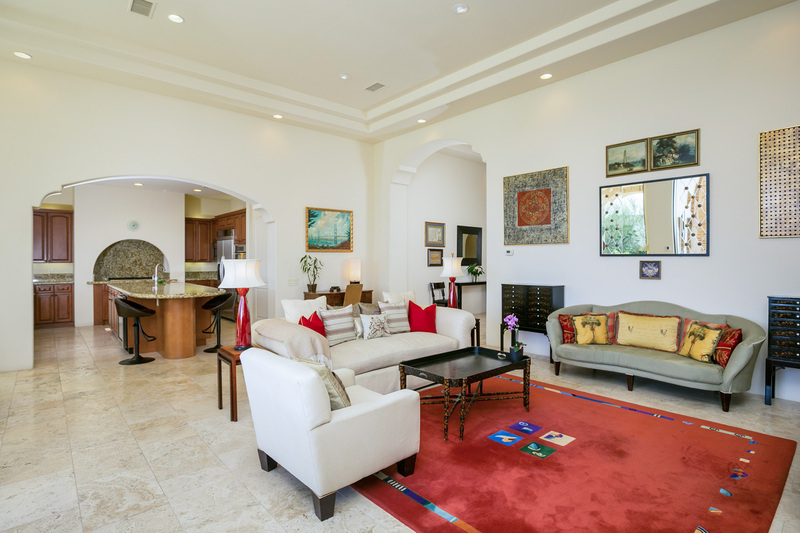 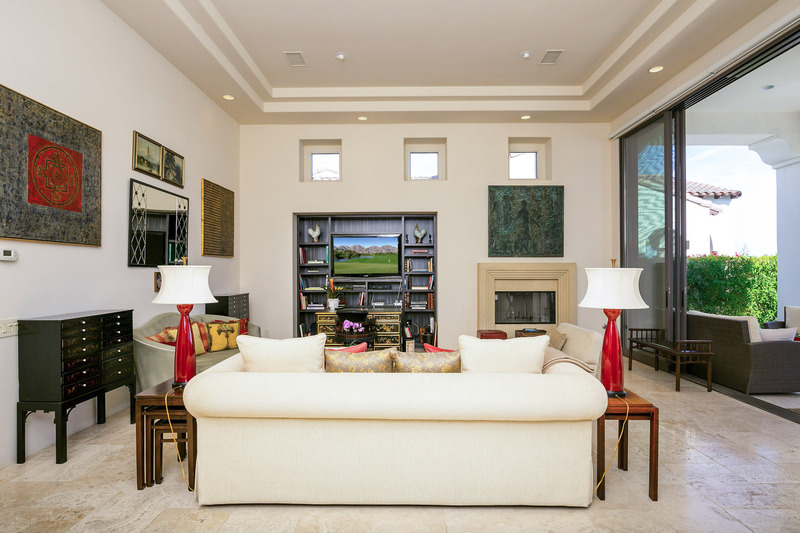 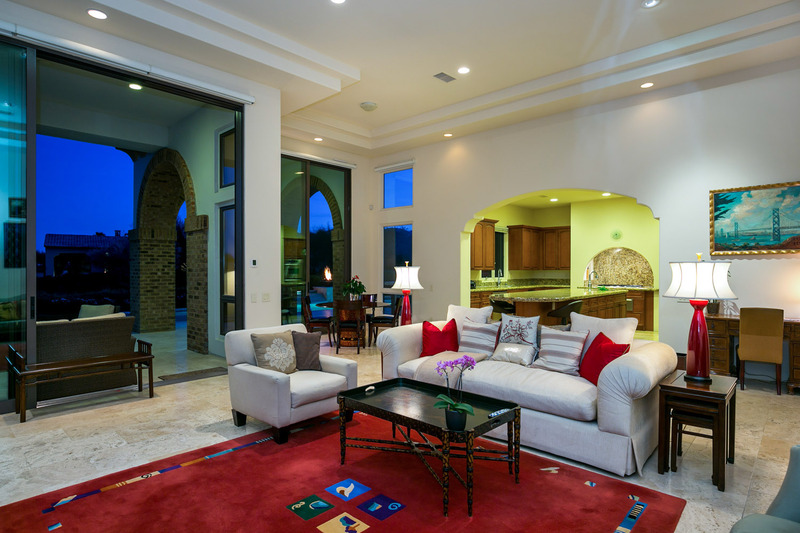 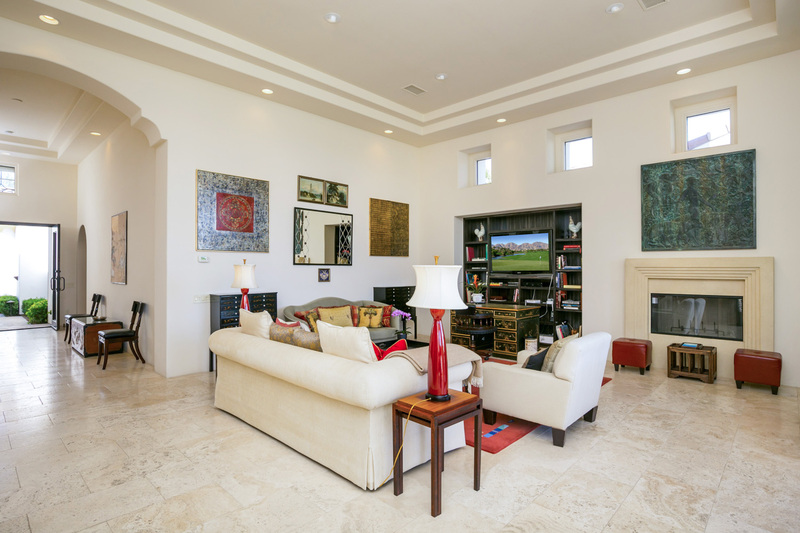 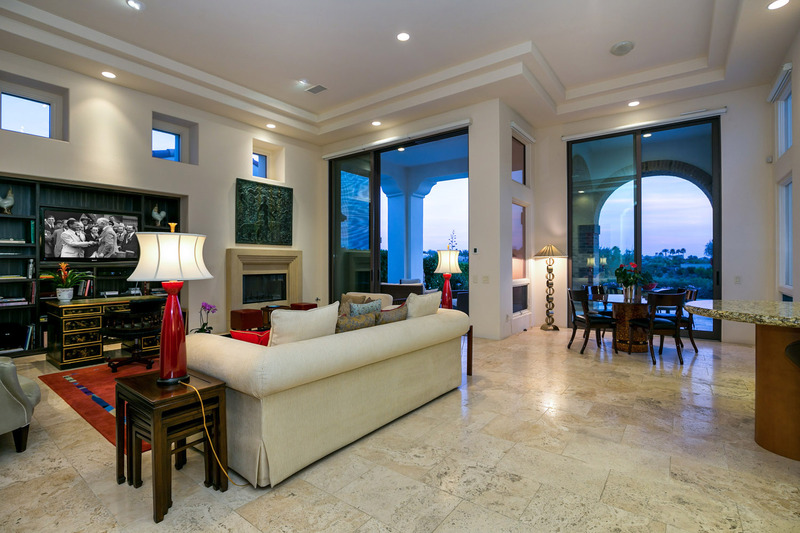 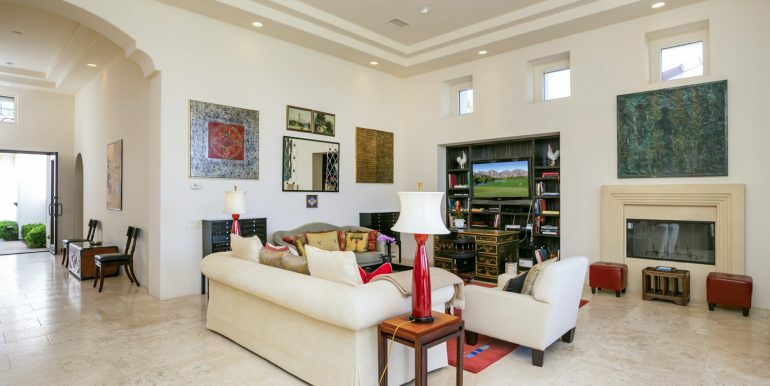 Home offered turnkey furnished and features travertine flooring, volume ceilings and expansive 12 foot Fleetwood sliders which lead to the outdoor living space. 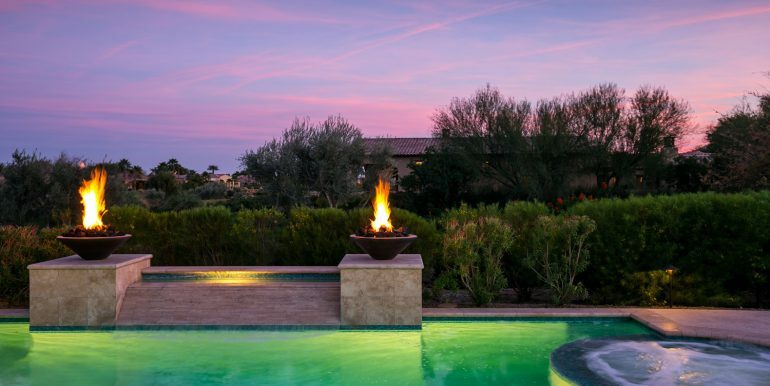 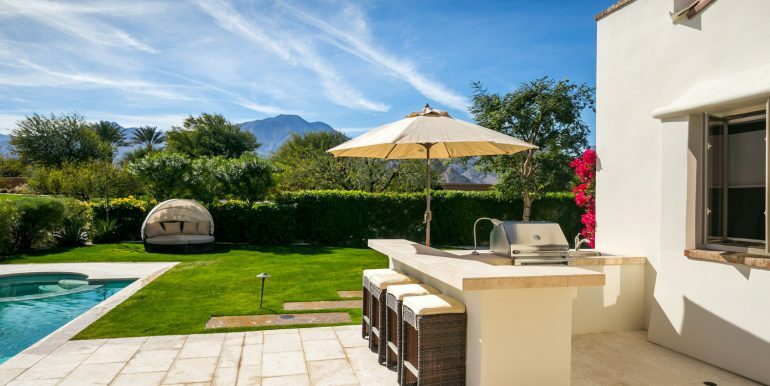 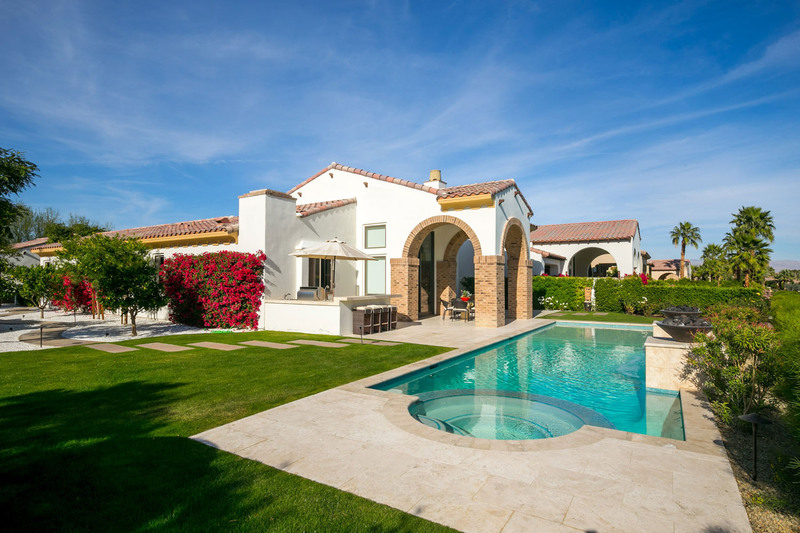 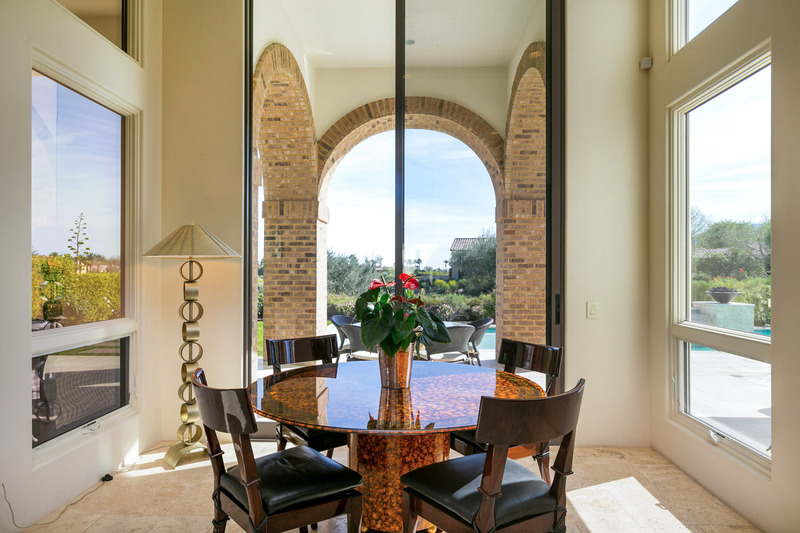 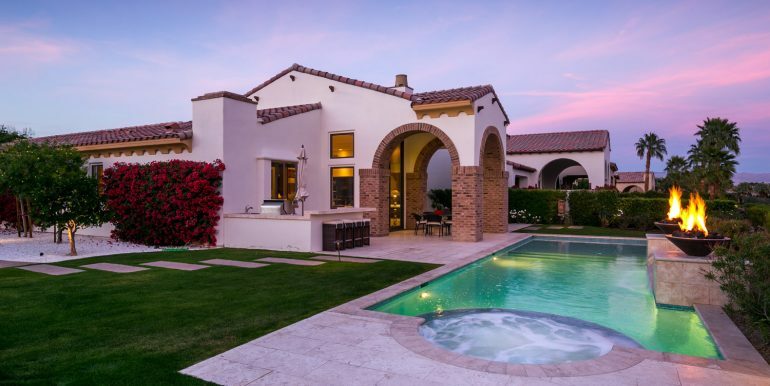 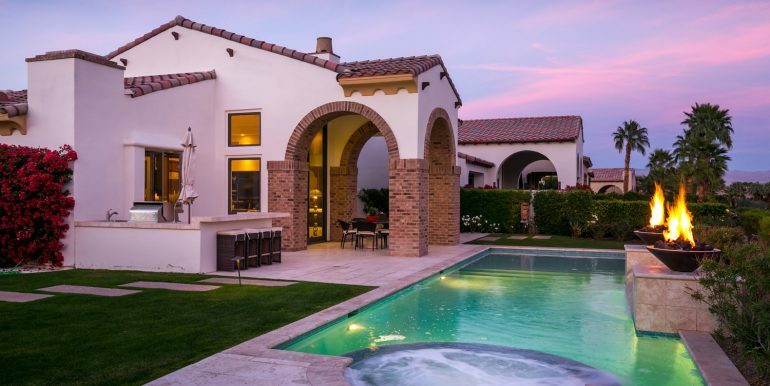 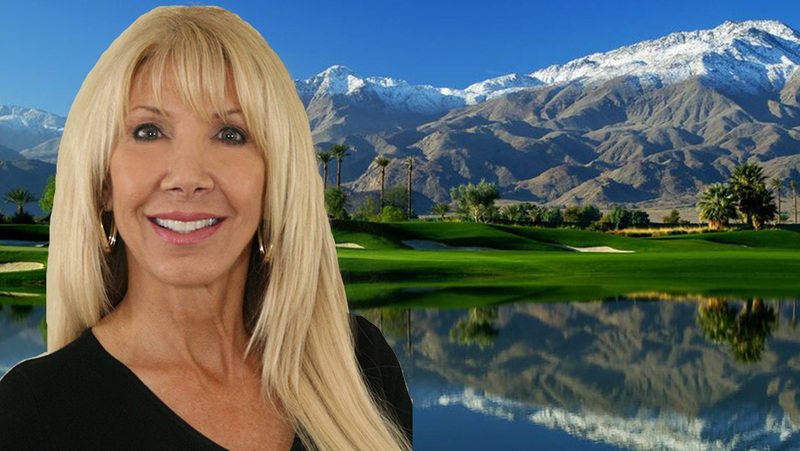 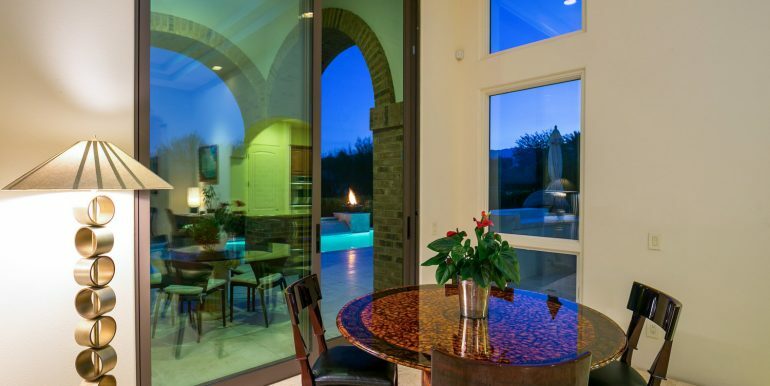 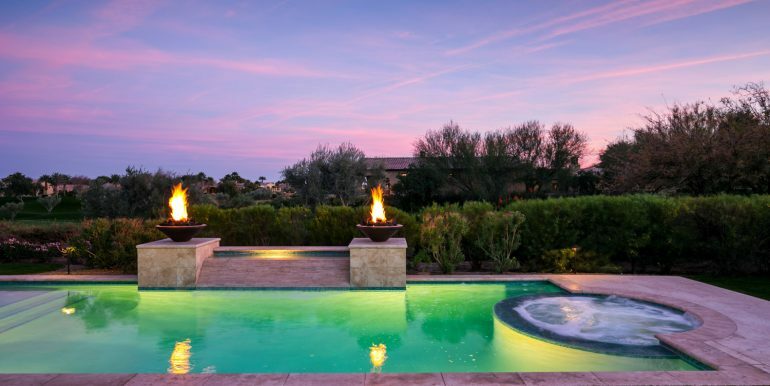 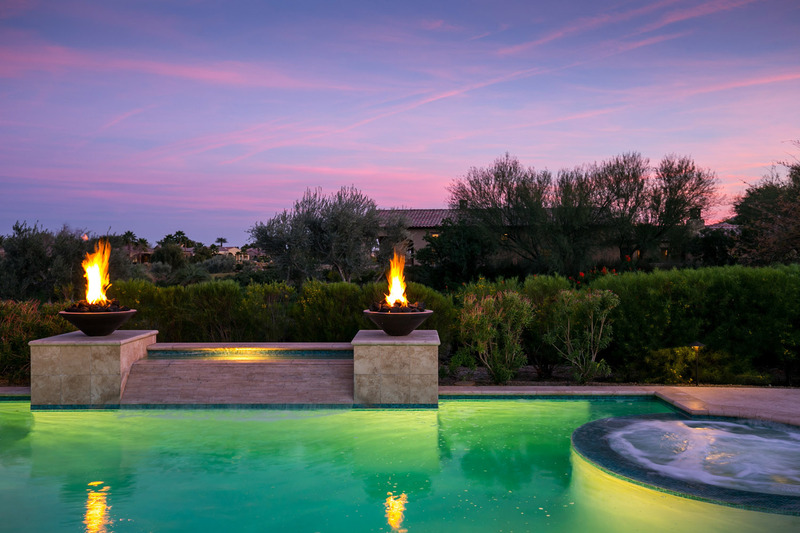 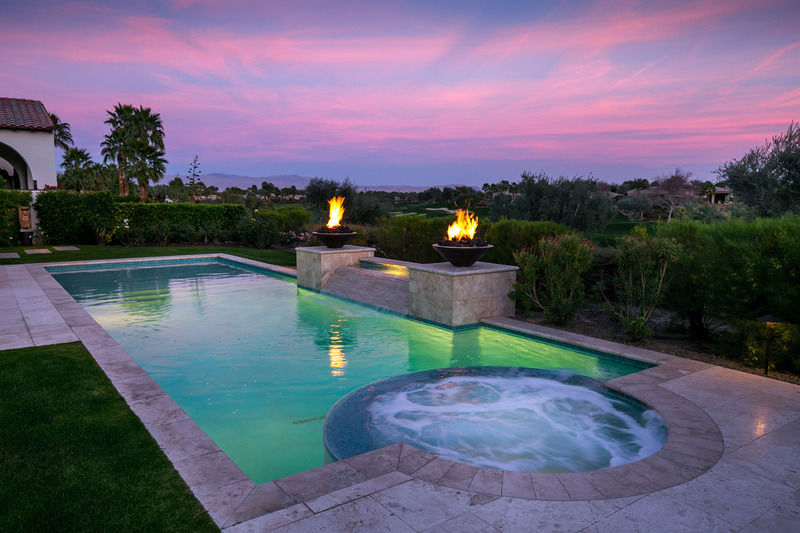 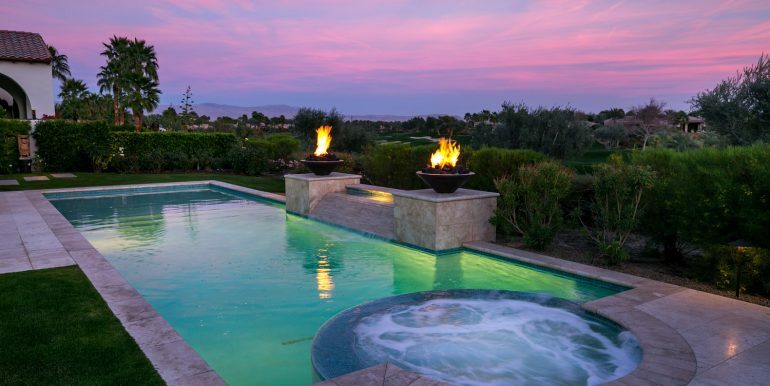 Enjoy breathtaking sunsets and beautiful views of the Coral and Santa Rosa Mountains while relaxing in this magnificent backyard with pool, spa, cascading stone waterfall, 2 fire bowls, and built-in gas BBQ with bar top seating.